Home › Best-Sellers › Hic Mushroom-Shaped Mortar And Pestle Spice Herb Grinder Pill Crusher Set Sol..
Hic Mushroom-Shaped Mortar And Pestle Spice Herb Grinder Pill Crusher Set Sol..
HIC's Mushroom Mortar and Pestle Set is the perfect tool to grind items into afine paste or powder. Unlike traditional sets with wider bowls and narrowpestles, HIC's Mushroom Mortar and Pestle features a closely fitted design,with smooth action and optimized grinding surface to help speed up foodpreparation and minimize effort. The mortar surrounds and hugs the pestle,offering a joystick-like action, for single-handed grinding. Quickly grindfresh ingredients, like cloves of garlic, herbs and spices, peppercorns orcinnamon, nuts, grains, and seeds, into a fine paste or powder. Make aromaticdry rubs, curry pastes, pestos, nut butters, spreads, and so much more. Evenuse it as a pill crusher to pulverize harder-to-swallow pills! Essential toolsfor those practicing homeopathy, the art of healing through natural remedies,HIC's Mushroom Mortar and Pestle offers effortless preparation of herbal andhomeopathic remedies. So easy to use. Simply place an item into the mortarbowl. 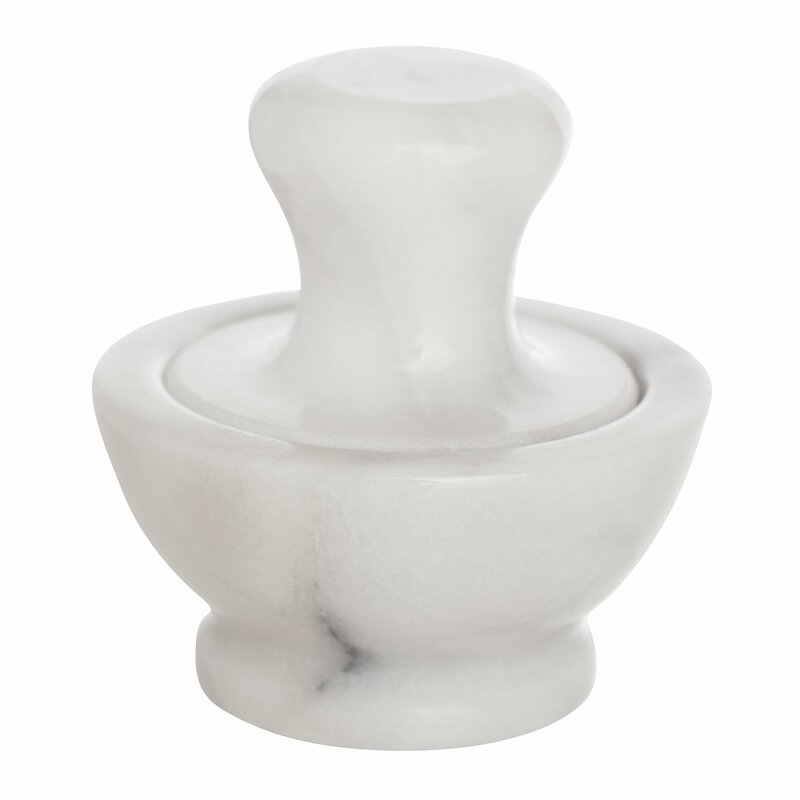 Hold the pestle by the handle and, using a firm pressure, pivot and rockthe pestle to grind the item into a paste or powder. Harder items, likepeppercorns, may need the surface cracked before they can be ground. Firmly,but gently, tap the item with the pestle, then grind into the desiredconsistency. HIC's Mushroom Mortar and Pestle Set is made from solid Carraramarble to complement kitchen countertops and any home decor. Hand wash inwarm, soapy water. Rinse and dry thoroughly.